If you follow me on Instagram, you will no doubt know by now that I am rather addicted to blazers. Despite this fact, believe it or not, I've never in the whole history of my blog (a massive 4 years!) dedicated a post to the loves of my life on here! I admit; I take them for granted. I just presume they'll always be there for me...which of course they will. There is undoubtably a blazer for every single day/life event/time of year. Last year, the checked blazer was thrust into the spotlight, when a bevy of scandi babes and French goddesses took to Instagram to display their new fave jacket. Not to blow my own trumpet (sounds weird) but I bought my first checked blazer back in 2016, and every time I wear it on my feed I feel bad, as it sold out literally years ago. So I thought I would rectify the fact I've not shown the blazer the love and dedication it deserves, and I have put together a wish list of my top High Street picks! Ive tried to vary price, style and colours; as this year any blazer will do. It's the must have jacket for AW/SS18 and you definitely need one in your wardrobe. I use my blazers for an abundance of reasons. Number one being they're just cool and rocking one will make you feel like you have your sh*t together. Secondly, they are tailored. You can't beat a good pair of shoulder pads to make you look super lean - they are very flattering for ALL figures, and hide a multitude of sins (bonus). They can make an outfit go from drab to fab! I throw mine on over my yoga gear (that I totally wear but never do yoga in) and it appears as though I planned it all along! I'd say as a rule, nothing can ever be too 'oversized' - the roomier the better! I hope you enjoy my selection; I could have picked about 70, but I narrowed it down to the one's that I would buy right now! Let me know if you have are any questions about styling, prices or anything else that you may want to know about my favourite jacket! Last month I worked with 'Hardly Ever Worn It' to curate my top picks from their fab selection of second hand designer pieces (I guess the name gave it away!). Whilst browsing the delectable collections, I found that although I was picking this season's must-haves, I was also (inadvertently) picking some bloomin' good wardrobe staples. Having not shared on my blog for what feels like years (it's actually only been 4 weeks...) I wanted to start off (okay mid-way off) February in style and share with you what I picked. Just to let you guys know; this isn't sponsored, I just genuinely fell in love with what I had chosen from their site! Tailored Blazer - If there is only one thing you buy this season, it has to be a blazer. 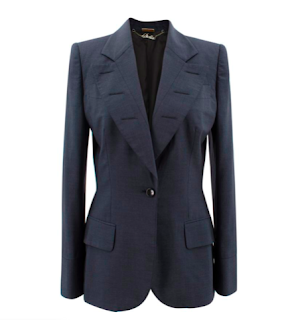 Tailoring will always be in style, and this Stella McCartney single buttoned longer length jacket will elevate your daily look to the next level. Skinny Jeans - Skinny jeans are back! Yes, 2018 is all about denim, and these naughties faves were seen all over the SS18 catwalks. 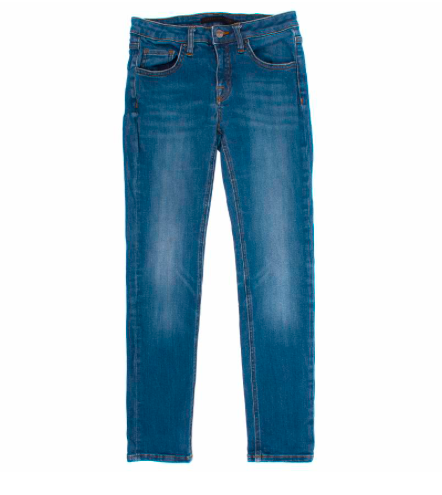 Team with practically anything; a pair of Victoria Beckham classic low rise, mid wash jeans will add a fresh take to your spring/summer wardrobe. The 'It' Bag - The ‘new’ it bag of the season; the hammock bag by Loewe is the one you need on your arm in 2018. 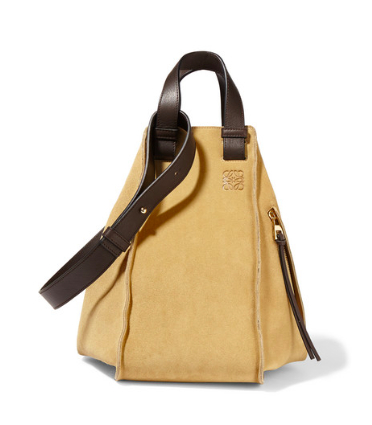 Subtle, yet chic, this modern classic will quietly let people know you are ahead of the trend. The Trainer - Trainers are not going anywhere this year - this time the bigger and chunkier, the better. 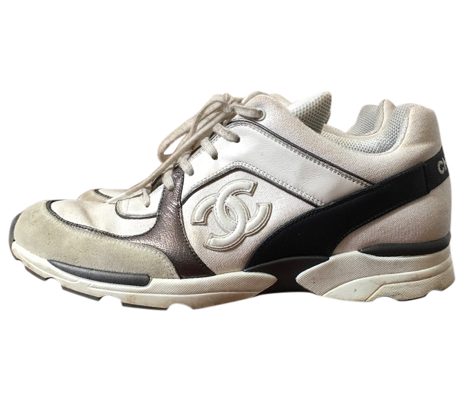 You can’t go wrong in a pair of Chanel white sneakers, perfect to wear with mom jeans and a chic blazer. 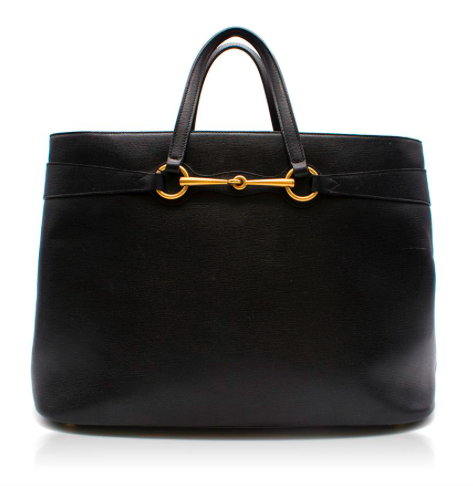 Chic Black Bag - If you want to invest in a bag that won’t just last a season, it has to be this Gucci top handle black leather tote. Practically perfect in every way; from the sleek gold detailing, to the size, which is large enough to fit everything in, this classic design will make every outfit look elegant and 'put together’.